The Bears made some decent moves on draft day, grabbing Wisconsin OT Gabe Carimi with the 29th pick in the first round, then following up with Oregon St.’s DT Stephen Paea, who you may remember for setting a record at the combine with 49 reps of 225 pounds. Below is video of all of our picks. I’d give the Bears a C+. Good pick with Carimi and Paea, but the rest of it looks shaky. After a dominant 17-1 season in the Summit League, the Oakland Golden Grizzlies are looking to get their second tournament win in school history since 2005. 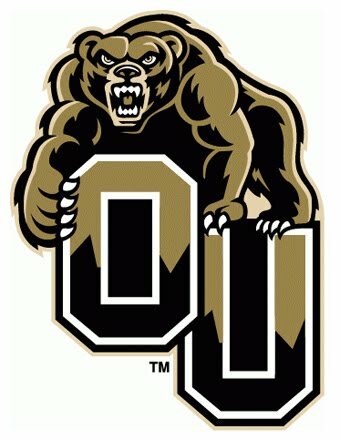 Granted, they’re playing a very good Texas Longhorns team who was ranked as high as number two overall in the nation a few weeks ago, Oakland has a shot behind potential first round pick Keith Benson who averaged an astounding 18 points and 10 rebounds per game all season, compiling 19 double doubles. Texas’ Tristan Thompson will have his hands full trying to guard and score on Benson, who also averages 3.65 blocks per game which is 2nd in the nation. 4. #12 Utah St. beating #5 Kansas St.
Kansas St., who began the season ranked #3 in the nation, fell apart in the middle of the season after losing three times to Colorado and once to Oklahoma St. and UNLV, in addition to five more losses to top 25 teams. However, Coach Frank Martin seems to have gotten them back in shape after winning eight of their last ten to end the season. Matching up against 19th ranked Utah St., the Aggies will use their stout defense to try and stop scoring machine Jacob Pullen. The Aggies have held opponents to only 58 points a game (3rd in the nation) on 38% shooting all year. There’s a reason they hold a 30-3 record. This game is bound to be low scoring. The Richmond Spiders come into this game as the clear underdog, however they match up very well with Vanderbilt. The Spiders, like Utah St., play a tough defensive game and are talented at stopping the three point shot, which is what Vanderbilt prides their offensive game on. Vandy’s main source of offense is star guard John Jenkins, who puts up 19.5 points per game and shoots 40% from behind the arc. Richmond will have something to say about that though, as they have only allowed opposing teams to shoot 30% from behind the arc. If they can shut down Jenkins, Richmond should not have too much of a problem shutting down the rest of the team and winning this game. Belmont’s coach Rick Byrd has 610 wins at the Division 1 level, which ranks him 6th among active coaches. 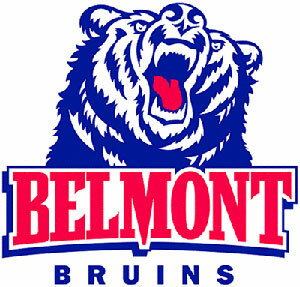 The Belmont Bruins are also coming off of a 87-46 rout of North Florida in the Atlantic Sun Conference championship game. The Bruins average 80 points per game, which ranks them just outside the top ten in the nation. It will be an interesting match up, as Wisconsin likes to hold opponents to only 50 points a game and is coming off of a 36-33 loss to Penn St. The Badgers will have to take their game out of the 1940s if they want to avoid one of their biggest upsets. Although Marquette is hardly an unknown program, I believe they have the best chance to go deep in the tourney. After going 9-9 in the stacked Big East, Marquette is ready to take on an Xavier team who has only faced one top 25 team all season, Cincinnati, while Marquette has played in 12 games against top 25 teams, securing wins over Notre Dame (79-57), UConn and Syracuse, all impressive teams. Xavier is also coming off of a disappointing loss to unranked Dayton in the Atlantic 10 tournament. Marquette also has a relatively easy road if they can get past Xavier, potentially playing Syracuse, who they know well, and then possibly UNC. Don’t be super shocked if Marquette is playing Ohio St. in the Elite 8.